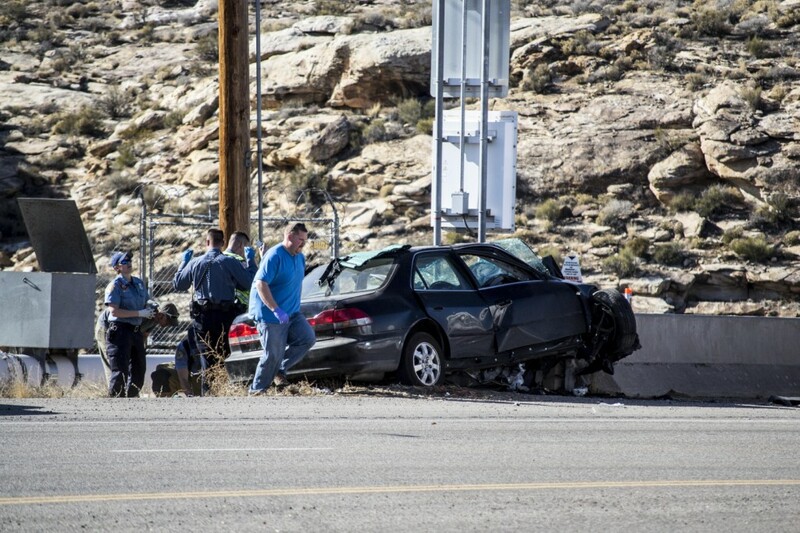 HURRICANE – For reasons yet to be determined a man driving west on state Route 9 around 2 p.m. on Tuesday crashed head-on into a concrete barrier on the side of a bridge crossing the Virgin River in the area of 5000 West in Hurricane. 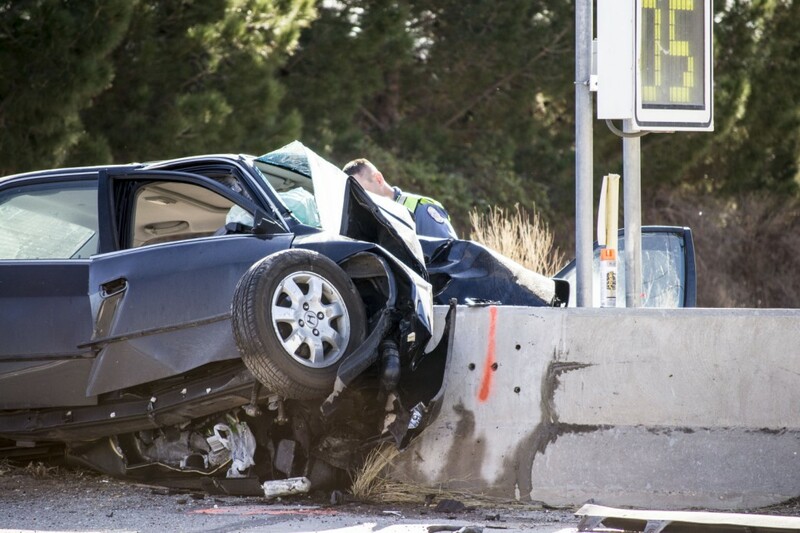 The vehicle crossed over all lanes of traffic on SR-9, Hurricane Police Sgt. Brandon Buell said, and crashed head-on into the barrier. 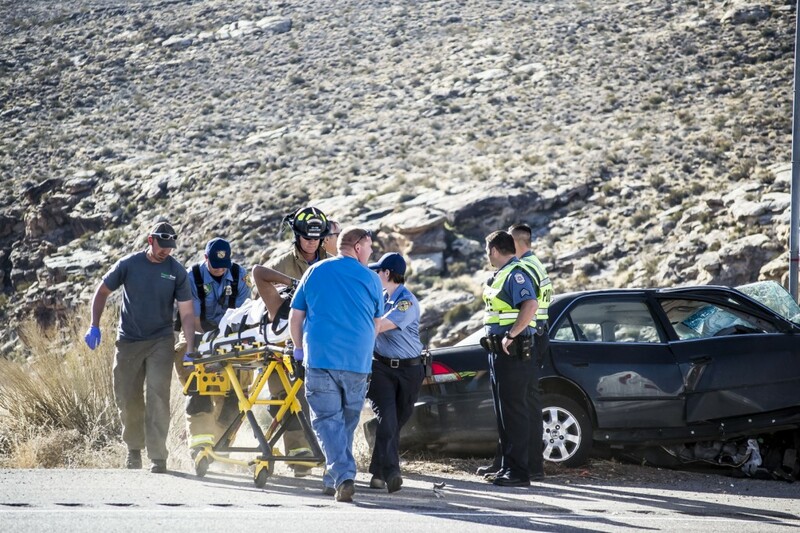 There were no passengers in the vehicle and no other vehicles involved in the incident. 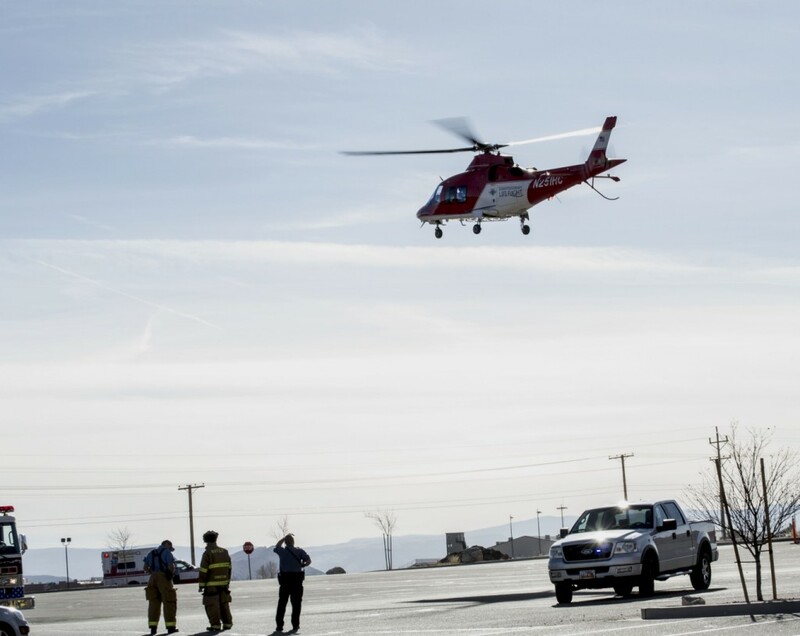 The man was taken by ambulance to the parking lot of the Washington County Department of Motor Vehicles at 5300 West and SR-9 where he was transferred to a Life Flight medical helicopter for airlift to the hospital. Residents of the Quail Lake Estates mobile home park east of the bridge said they heard but did not witness the crash. There were no visible skid marks on the road surface. Both eastbound lanes were closed after the incident, but have since been opened to one lane in the eastbound direction. 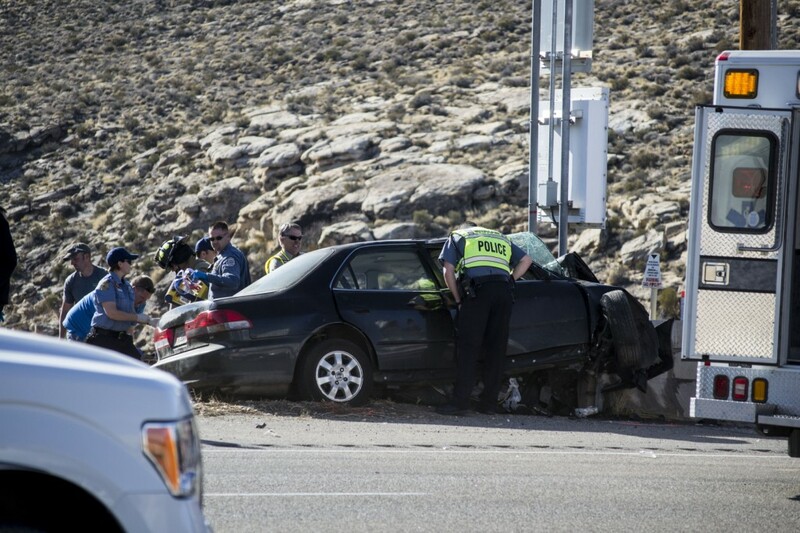 St. George News Reporter Natalie Barrett contributed to this report. 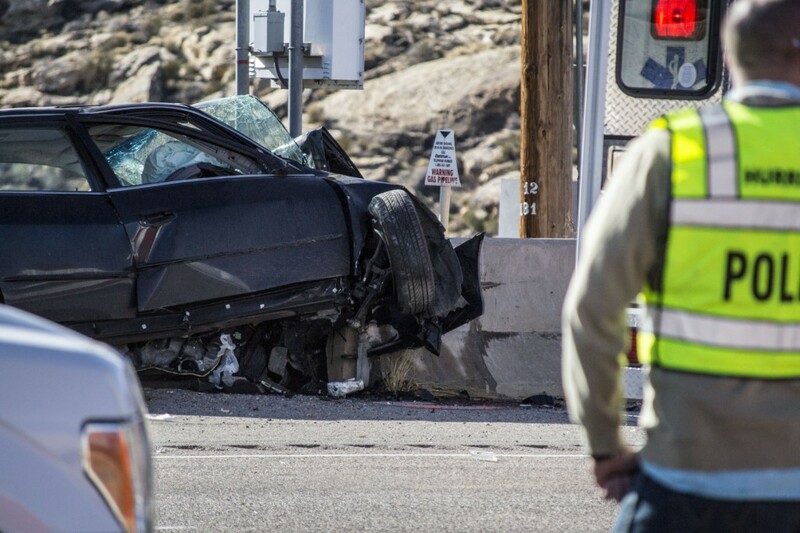 The investigation is ongoing as to why the crash occurred and officers are still on scene. Status of the man’s condition and what hospital he was flown to had not been reported to Buell at the time of this report. This report is based in part on preliminary information provided by law enforcement and may not contain the full scope of findings. Jeremy Crawford is originally from Dillon, Montana, where he met his “amazing wife Nadia.” The Crawfords have two wonderful kids and a “Cupcake” (their English Bulldog). Jeremy is pursuing his education at Dixie State University for a degree in criminal justice-digital forensics. Photography is one of Jeremy’s passions, complementing his other passion for investigating and dissecting anything digital to find the truth in a case. In his free time Jeremy loves to spend time with his family exploring the outdoors and attractions around the St George area. 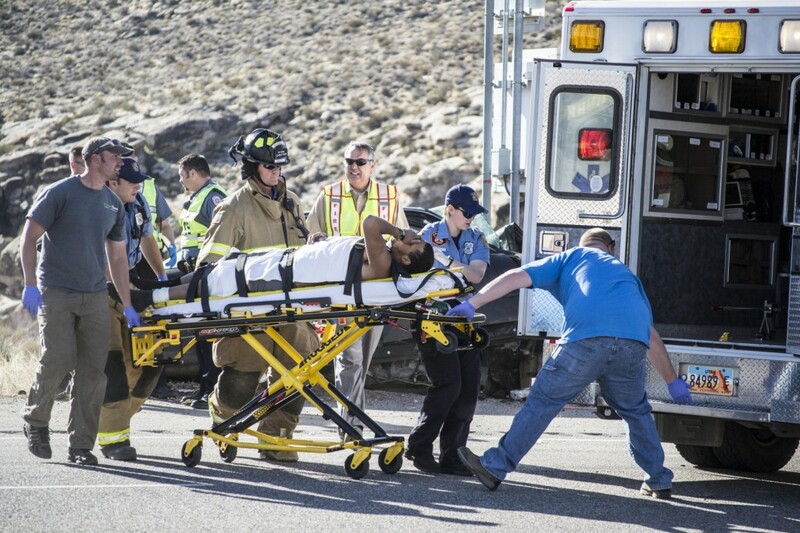 STOP … TEXTING WHILE DRIVING PEOPLE!! !